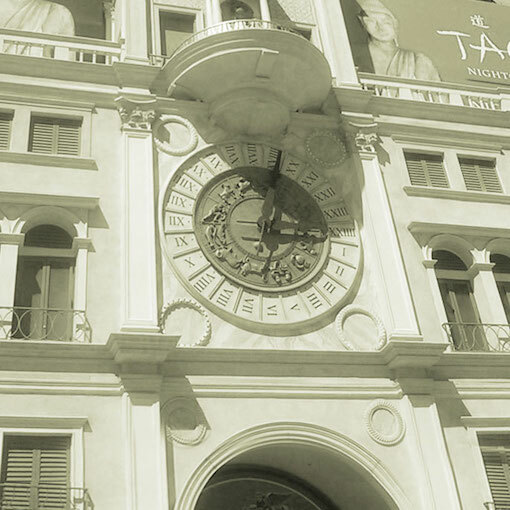 The Palazzo Clocktower is part of the larger Palazzo Resort Hotel Casino property and links to the Palazzo Condo Tower and Venetian. The existing clocktower entry was dark, gloomy, and “felt” unsafe. 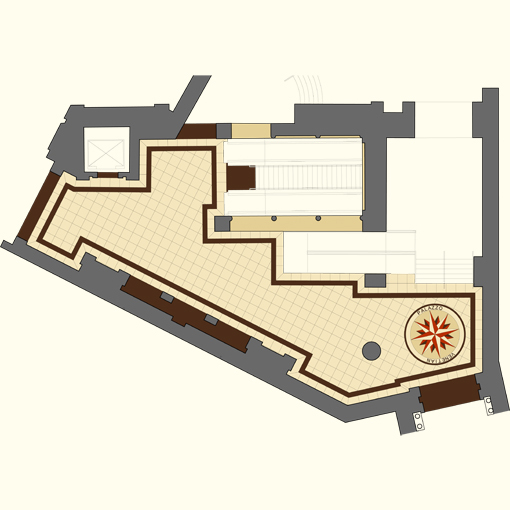 JZA+D developed concept plans and elevations which resulted in an interior transformation as the new design allowed for more light, clearer circulation paths and accessibility improvement to the adjoining properties. 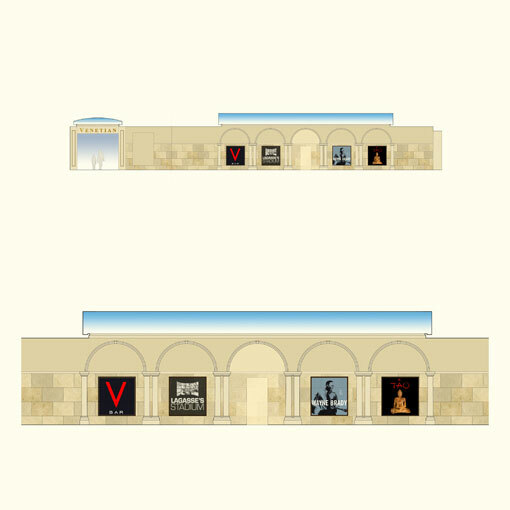 Originally designed as thematic and grotto like, our partial demolition package called for the removal of excessive ornamentation including non-load bearing columns, wall relief’s, and decorative ceiling beams. The new modern space was bright and welcoming like the new Palazzo. 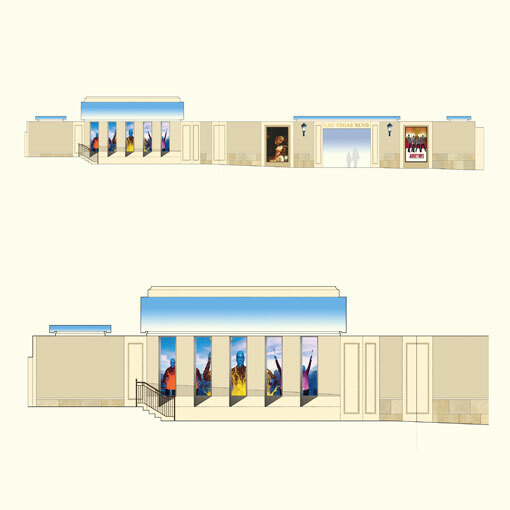 The new space allowed for the addition of new efficient light fixtures, cove lighting, and light boxes for advertising and signage. 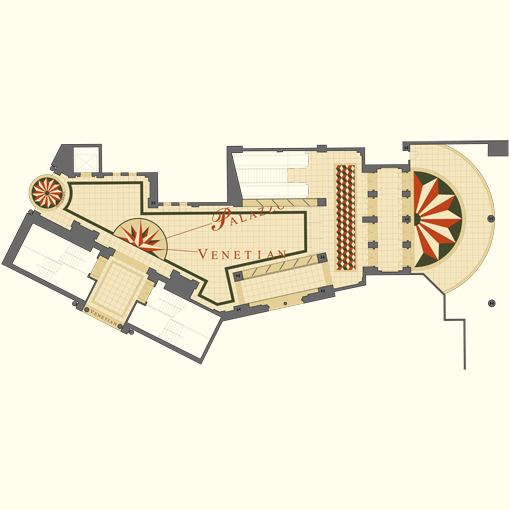 The interior design program also called for the use of floor tiles and wall plaster treatments matching the materials in the Palazzo and Venetian. Complemented by new wayfinding signage, JZA+D established a cohesive and seamless visual aesthetic.